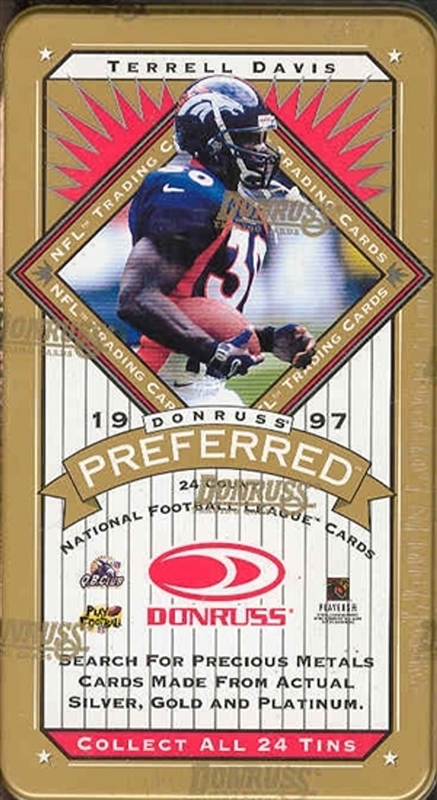 Donruss Preferred features a 150 card base set which highlights bronze, sliver, gold and platinum finishes. 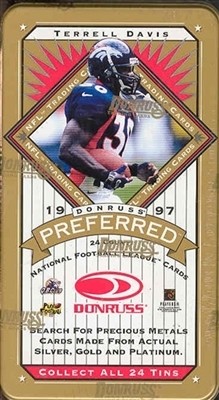 This innovative set also includes national treasures subset cards and great inserts showcasing players of the national football league. Approximate odds of finding a insert card are 1 in 4 Tins!!! Jake Plummer, Corey Dillon, Tony Gonzalez, Tiki Barber, Warrick Dunn, and Jon Kitna!